When not working on CSR, PR or communications trainings projects, the Media Wise team is busy editing and copywriting. 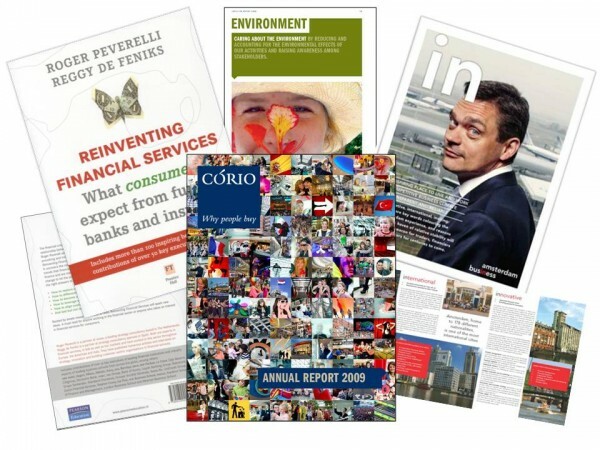 Recent projects include the Pearson Education publication, Reinventing Financial Services, authored by marketers Roger Peverelli and Reggy de Feniks and edited by Media Wise editors Emma Robson and Vicky Valanos; two financial brochures for the City of Amsterdam aimed at informing potential businesses and investors about the attractions of the Dutch capital, and the co-writing and editing of the Corio N.V Annual Report every year since 2009. Corio N.V also hired Media Wise to compile, write and edit the very first Corio CSR Report since 2009.